SAGE revitalizes agricultural places near cities and fosters vital food systems that connect urban and rural communities. Our approach is to generate big-vision ideas and implement them through collaboration with diverse stakeholders. We work in two interconnected program areas: Urban-Edge Agricultural Revitalization and Urban-Rural Connections. 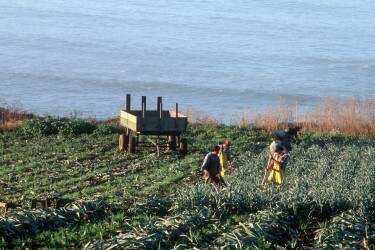 SAGE assists clients in developing place-based agriculture and local food projects. Our consulting services include existing conditions analysis, feasibility studies, business plans, stakeholder engagement and facilitation of multi-party collaborations. SAGE is following up on its recent publication of the Bay Area Food Economy with an analysis of resilience in the region’s agriculture and food sector. 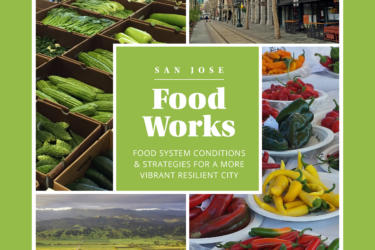 Implementation of initiatives to support food distribution and processing, food business incubation, and local food production, as strategies for advancing San Jose's resilience. 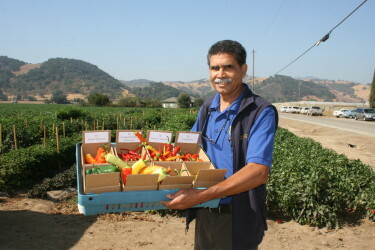 SAGE's projects in the Coyote Valley aim to revitalize agriculture, sustain conservation, and create a permanent agricultural resource area of regional significance. SAGE led research and stakeholder engagement to develop a shared vision for supporting a strong and resilient food and farm system in San Mateo County.